Home › 2020 National Championships › Champion Swimmer Jenny Whiteley Awarded at the 2019 National Presentation Evening. 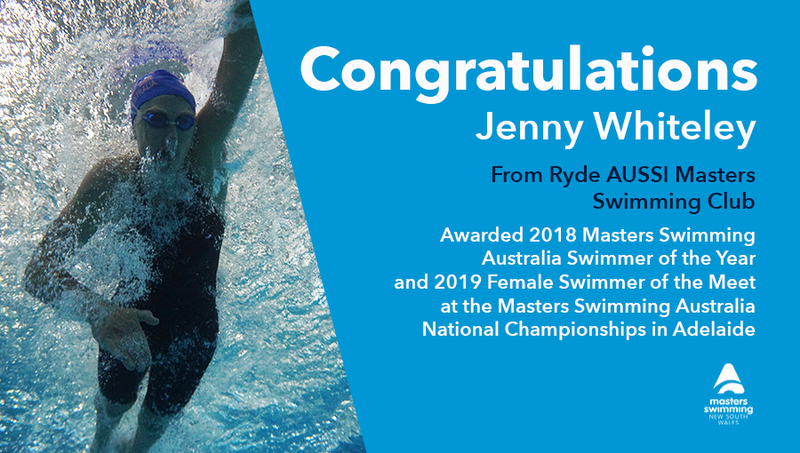 Jenny Whiteley from the Ryde AUSSI Masters Swimming Club has been awarded as the 2019 Masters Swimming Australia National Championships ‘Female Swimmer of the Meet’ at the presentation evening in South Australia. Jenny has continued to build on her incredible list of achievements in the pool, also being awarded as the 2018 Masters Swimmer of the Year.